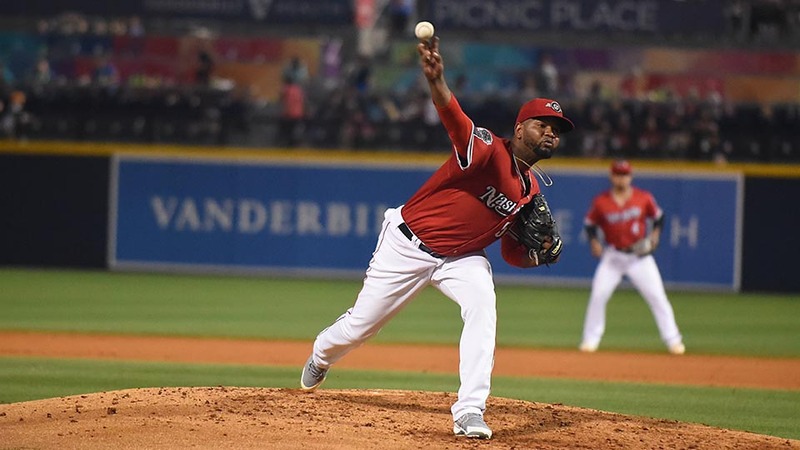 Nashville, TN – The bats went quiet for the Nashville Sounds as they fell to the Omaha Storm Chasers 2-0 Wednesday night in front of 7,914 fans at First Tennessee Park. Nashville’s Chris Bassitt and Omaha’s Jake Kalish went toe-to-toe on the mound, each looking sharp in their seven innings of work. In the end it was Kalish’s Storm Chasers who emerged victorious as the southpaw allowed just two hits in his seven shutout innings while fanning nine batters. Bassitt took the tough-luck loss as he matched a season-high by tossing seven innings. For Bassitt it was his second quality start of the season. Nashville, TN – Nashville Sounds designated hitter Anthony Garcia knocked in eight runs in an 11-1 win over the Omaha Storm Chasers in front of 8,476 fans at First Tennessee Park Tuesday night. Garcia’s big game started in the first inning when he gave the Sounds a 1-0 lead with a groundout. He drove in Steve Lombardozzi who tripled to the gap in right-center. The Sounds sent 11 to the plate in a seven-run second inning. Jorge Mateo started the frame with a walk and promptly stole second base. He scored on a base hit to right-center by Brett Vertigan. Papillion, NB – The Omaha Storm Chasers swept the Nashville Sounds in a doubleheader at Werner Park Monday night. 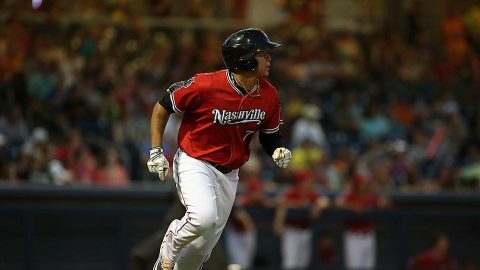 The bats went quiet as Nashville was shut out in game one, 7-0, before dropping game two, 6-3. 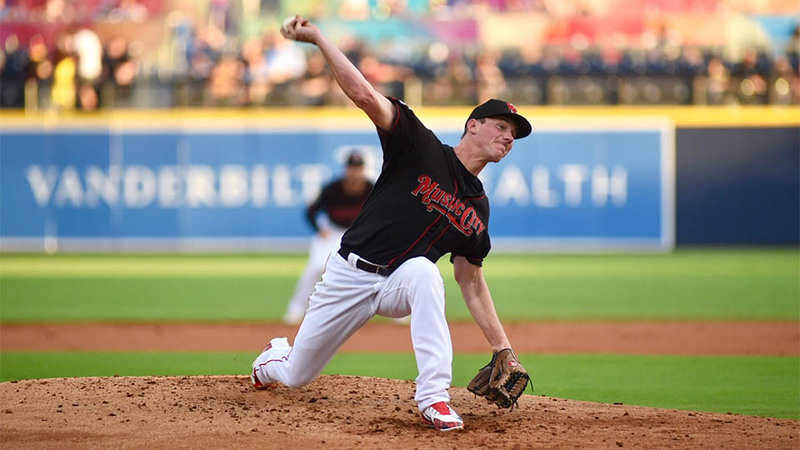 Omaha starter Jake Kalish was the story of game one as the left-hander blanked the Sounds in a complete-game shutout. The southpaw scattered seven hits and induced three ground ball double plays to help his cause. 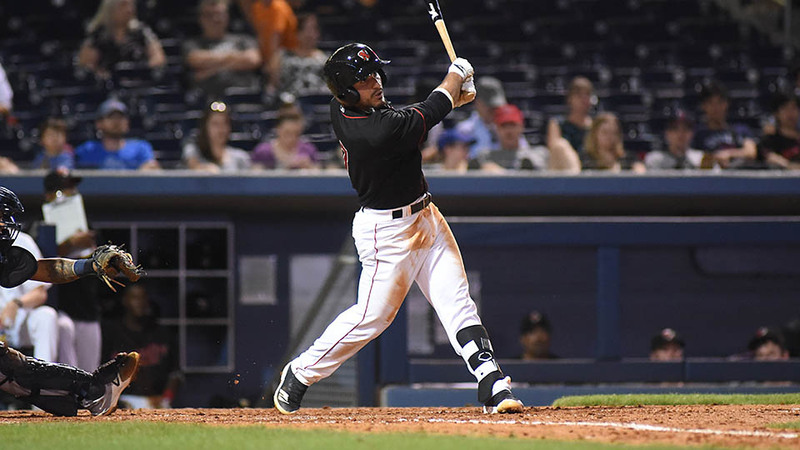 The lone bright spot for Nashville came immediately when Nick Martini singled on the first pitch of the game to extend his on-base streak to 61 games. Papillion, NB -The Nashville Sounds took care of the Omaha Storm Chasers 7-1 in Sunday’s matinee to even up the five-game series. Raul Alcantara took on his biggest workload of the season as he logged a six innings in his third start of the campaign. In those six frames he allowed just one run, which came on a solo home run in the second inning from Omaha’s Frank Schwindel. The 70 pitches thrown by Alcantara were a season-high. The Sounds were all over the base paths all afternoon as they tallied 14 hits and put a runner on base in each inning. 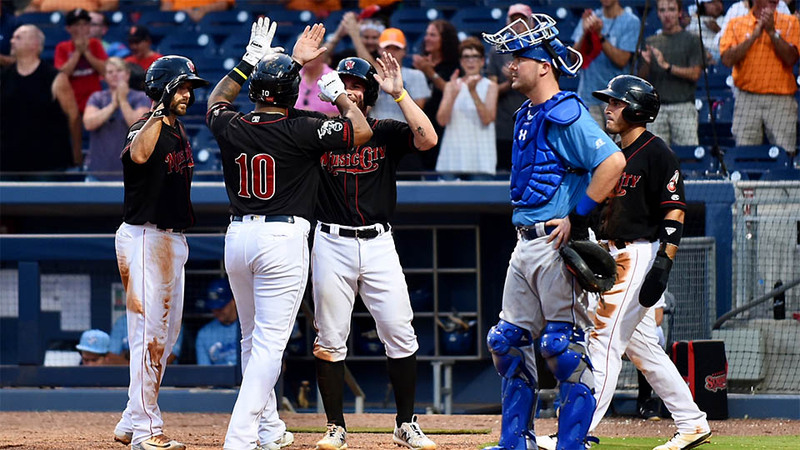 Nashville, TN – For the second time in three games the Omaha Storm Chasers outlasted the Nashville Sounds in extra innings. Hunter Dozier’s bloop single in the 11th inning sealed the Sounds fate Wednesday night. With two outs and a runner on third base in the top of the 11th inning Lou Trivino jammed Dozier but the Omaha right fielder muscled the pitch into shallow center field to put the Storm Chasers in front for good. Yairo Muñoz collected a pair of hits for his fifth consecutive multi-hit game. Franklin Barreto went 3-for-3 for his fifth multi-hit game in his last eight.